CRG Texas Environmental Remediation Services provides the necessary materials, equipment, and labor to meet your environmental project, schedule, budget, and site setting characteristics. We have been successful in closing dry cleaner remediation program (DCRP) and leaking petroleum storage tank (LPST) cases quickly and effectively in accordance with regulatory requirements offering to our customers an affordable and timely environmental solution. Environmental remediation systems for soil and groundwater require operations and maintenance to keep the systems running as designed and to optimize efficiency by making field adjustments accordingly. CRG Texas Environmental Remediation Services has extensive experience in the management of soil and groundwater remediation systems. In addition, our company maintains a group of professionals with specific experience and expertise in the assessment, remediation, and management of oil and gas exploration and production facilities, retail marketing facilities, bulk fuel transportation facilities, and petroleum refineries. Recent advancements in bio-remediation of the excavated material has also proven to be able to remediate semi-volatile organic compounds (SVOCs) on-site. If the contamination affects lake sediment, riverbed, or bay bottom, then dredging of may also be conducted. 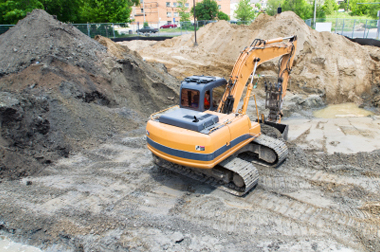 CRG Texas Environmental Remediation Services provides various types of equipment to remove impacted surface and subsurface soils and river, stream, and pond sediments that result from spills and subsurface releases. Backhoes, track hoes, drag lines, and steel caissons are used to access and remove impacted soils and sediments for the ground, drainage ditches, streams and riverbeds, and from decommissioned ponds. Processes can be as simple as excavation, stockpiling, analytical testing, and hauling the contaminated soil to a regulated landfill, but can also involve aerating the excavated material in the case of volatile organic compounds (VOCs) and total petroleum hydrocarbons (TPH) and application of microorganisms for bio-remediation. Recent advancements in bio-augmentation and bio-stimulation of the excavated material have also proven to be able to remediate semi-volatile organic compounds (SVOCs) onsite. If the contamination affects lake sediment, riverbed, or bay bottom, then dredging of may also be conducted. CRG Texas’ experienced team of professional and technical staff uses the latest technology and equipment to deliver in-situ chemical oxidants to the impacted soil and groundwater zones for fast and cost effective remediation. Our in-situ chemical oxidant services help our customers reach their regulatory and risk management goals quickly and effectively. Ex-situ and In-situ Chemical oxidation has also been utilized in the remediation of contaminated soil. This process involves the excavation of the contaminated area into large bermed areas where they are treated using chemical oxidation methods. Product recovery is required for surface and subsurface releases of free phase product. Soil vapor is gas in the spaces between soil particles. Soil vapor contains air gases that we breathe, evaporated water, and contaminants that may be spilled onto the soil. Chemicals and fuel used to operate vehicles, airplanes, and generators; and solvents used to degrease machinery and equipment sometimes escape into the environment. Past disposal of chemicals has contributed to soil and groundwater contamination. These were accepted disposal practices but are now known to cause environmental contamination and are no longer being used. Soil vapor extraction air emissions sometimes require discharge scrubbing or thermal oxidation treatment to meet regulatory emissions discharge limits. CRG Texas Environmental Services, mobilizes the experienced labor along with the necessary materials and equipment to perform mobile dual phase product recovery of soil vapor and impacted groundwater simultaneously, thus expediting remediation efforts and saving our customers time and money. Dual-phase extraction (DPE), also known as multi-phase extraction, vacuum-enhanced extraction, or sometimes bio-slurping, is an in-situ technology that uses pumps to remove various combinations of contaminated groundwater, separate-phase petroleum product, and hydrocarbon vapor from the subsurface. Extracted liquids and vapor are treated and collected for disposal, or re-injected to the subsurface (where permissible under applicable state laws). CRG Texas Environmental remediation Services provides the necessary materials, equipment, and labor to meet your project, schedule, budget, and site setting characteristics. We have been successful in closing dry cleaner remediation program (DCRP) and leaking petroleum storage tank (LPST) cases quickly and effectively in accordance with regulatory requirements while saving our customers time and money. Remediation systems for soil and groundwater require operations and maintenance to keep the systems running as designed and to optimize efficiency by making field adjustments accordingly. CRG has extensive experience in the management of soil and groundwater remediation systems. In addition, CRG Texas maintains a group of professionals with specific experience and expertise in the Environmental remediation, site assessment, and management of oil and gas exploration and production facilities, retail marketing facilities, bulk fuel transportation facilities, and petroleum refineries. Source area soils can be remediated to facilitate groundwater remediation, thus reducing overall costs. Source area soils can be remediated in place or removed, then the groundwater may be remediated without rebound of the (bad actor) chemicals of concern. Using the proper techniques in concert will drastically reduce time frames and overall costs for the project.